Ever wonder why your home gets so messy all the time even though you don't have that many people living in it? Well, most people don't know why - but I'm here to give you a bit of information on that. To start people usually love to procrastinate and put things off until later - and they never remember the amount of things that they put off until their house looks like a mess, and they have no idea how they got to that point. 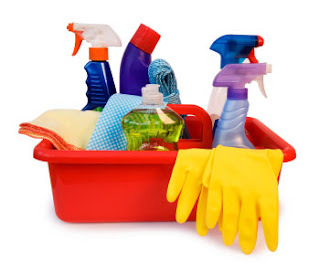 One of the first tips I can give you for keeping your home clean is to make sure that you are always cleaning up as soon as you make a mess of something, this way the work won't pile on top of each other and you will end up with a big mess in your home. Next, make sure you have a small schedule that you are trying to keep when it comes to cleaning. Sometimes we forget when the last time we vacuumed or washed the floor with a mop and we end up in a very dirty situation. Make a schedule and write down the major cleaning jobs that you need to do around the house that take some extra work. Also, never leave your dishes in the sink! This is easily the easiest way to clutter your home and make it seem like it's a mess - especially when you have unexpected guests or parents coming home. Another important part of the home to always clean and keep clean is the kitchen. That is the most obvious and eye catching part of the house that people notice write away in terms of cleanliness. Also a lot of bacteria can build up there - and worst part of it is the food flies that come from it. So make sure you are always keeping that part of your house spotless. Now we all know we can't keep our home clean all the time, so of course you need to keep to your schedule and make sure that you are trying your best to stick to it. Don't forge to clean the corners. Also, make a list of small spots that you will likely forget to clean where dust and germs can build up.